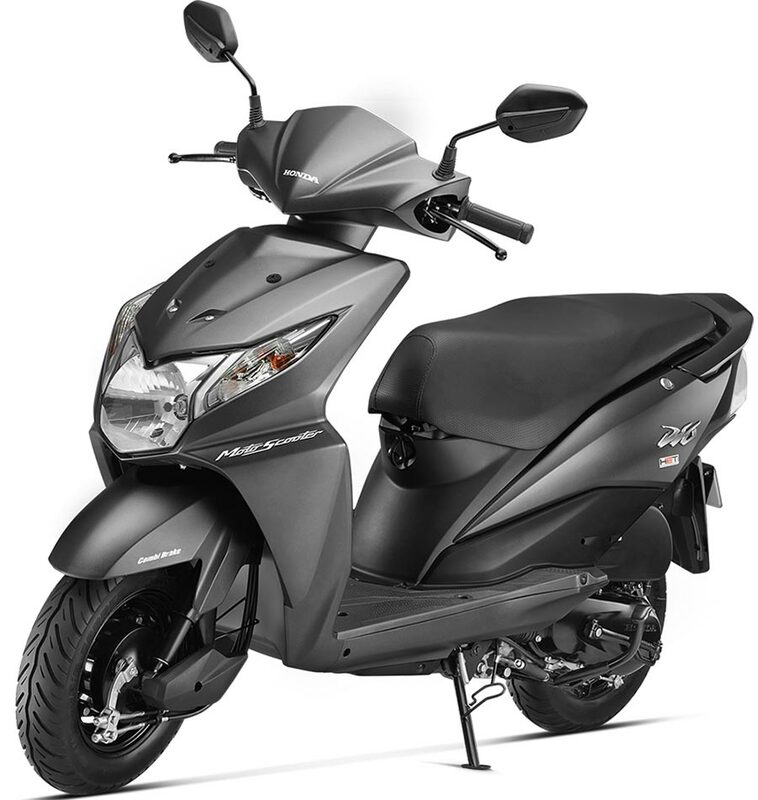 Get Honda Dio for Test Drive! 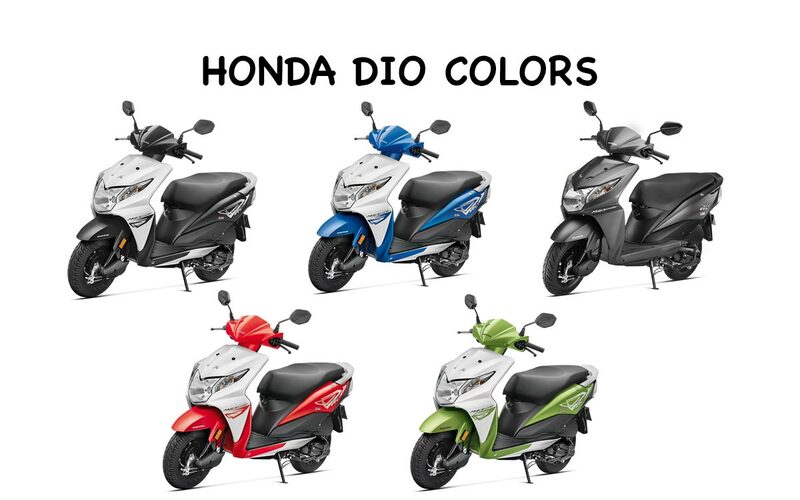 Provide your details so that we can arrange a test drive of Honda Dio for you at your city! When it comes to dimensions of scooter – Honda Dio measures 1781mm in length, 710mm in width, 1133mm in height. The seat height of Honda Dio is 765mm. Dio’s wheelbase is 1238mm and ground clearance is 158mm. Honda Dio weighs 105 Kgs which is comparatively lighter than other scooters in the market. 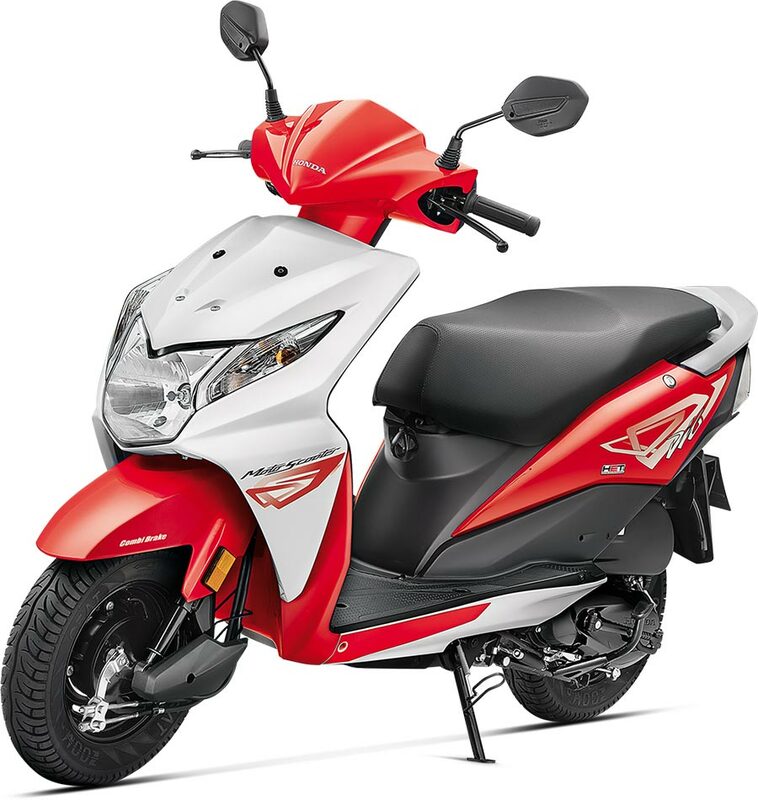 The fuel tank capacity if Honda Dio is 5.3 litres, which is same as that of Honda Activa. The front and rear wheels of the scooter are equipped with 130mm drum brakes, one can opt for CBS version for the rear wheels that comes at an additional cost.